“Unwanted” is a documentary by 60 Minutes Australia, published on August 8th, 2016. This short trailer (below) gives a brief glimpse into the practice of “re-homing” of adopted children, a way to rid yourself of an adopted child whom you do not want to care for or be responsible for anymore, “like getting rid of an old fridge on eBay”. Adoption on its own is bad enough for starters, but it’s difficult to see how re-homing can be anything other than devastating to the adoptees — including but not limited to a brutal blow to their self esteem, and reinforcing existing abandonment issues, or creating new ones. The act of adoption is a lifelong responsibility to a human being whom you choose to take into your care, a human being with the same rights to be loved, respected, cared for and given a decent upbringing as any child that might have been born into that same family. There is no less parental responsibility for an adopted child, than for a child that is biologically yours. In fact you may well find that the responsibility is far greater, owing to the adopted child’s greater need for support due to baggage from their life before the adoption, or as a result of the adoption itself, or even as a result of growing up in a family they weren’t born into. 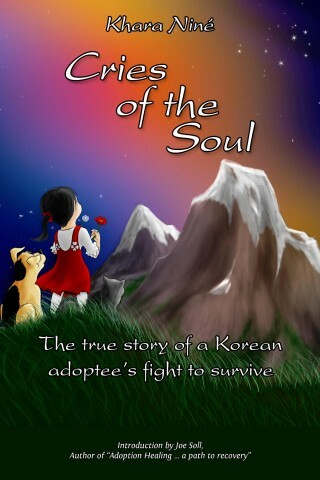 And keep in mind that unlike the adoptive parents, the adoptees never had a choice in the matter, therefore the responsibility rests solely on the adoptive parents. The existence of re-homing proves that many adopters consider their adopted children to be little more than pets, or even slaves, property that they can conveniently dispose of whenever they no longer feel motivated to keep up their end of the deal. It is as grotesque as it is shameful. Could you ever just give your child away? Note: The full episode is only available in Australia.